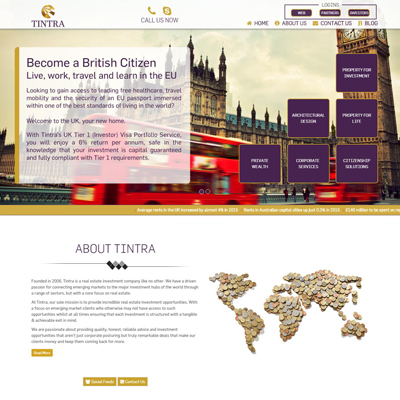 Tintra in an online portal that provides rewarding investment opportunities and ancillary advisory services focused around, but not limited to, global real estate. Tintra focuses on emerging market clients and facilitate their access to profitable investment opportunities using their portal. The provide honest, reliable and quality advice and incredible investment opportunities which has earned them a name and a loyal clientele who keep returning for even better investment opportunities. They are a one stop solution for full spectrum real estate services and complementary services like global company formations, visas and passports.
" StoreHippo platform offered a really smooth and seamless experience to our clients. We got a site that was beyond our expectation. "